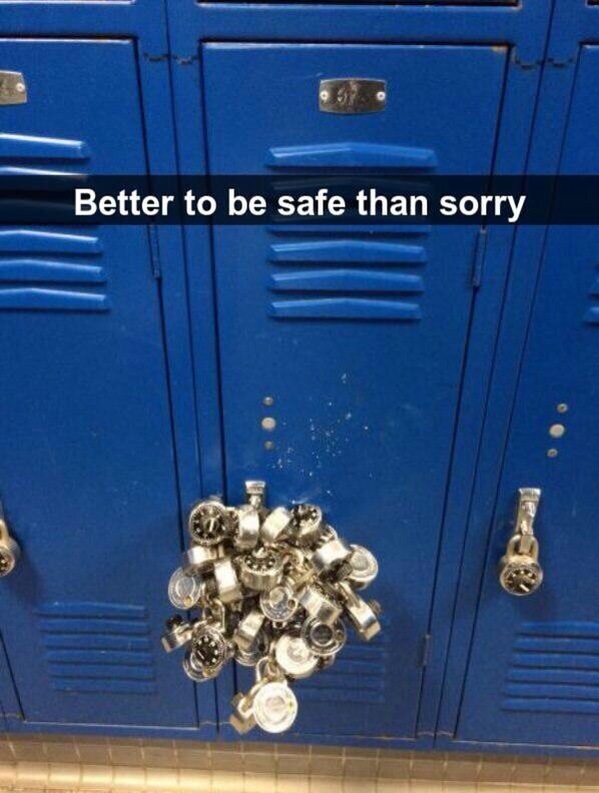 Better safe than sorry? I’d like to see him open that lock. Wouldn’t it just be a great prank?